Birth defects are fairly common. In fact, about 1 out of every 33 babies born in the United States has a birth defect, according to the Centers for Disease Control (CDC). The good news, however, is that many common defects can either be treated or will not affect your baby’s ability to live a full life. What are the most common congenital birth defects? Down Syndrome — More than 217,000 babies every year are born with Down syndrome, a chromosomal abnormality. Mouth and Facial Defects — Cleft lip and/or cleft palate affect about 6,800 babies born per year. These defects can usually be treated with surgery. Heart Defects — According to the American Heart Association, 8 out of every 1,000 babies in the U.S. are born with some type of heart problem. Most cases are mild. 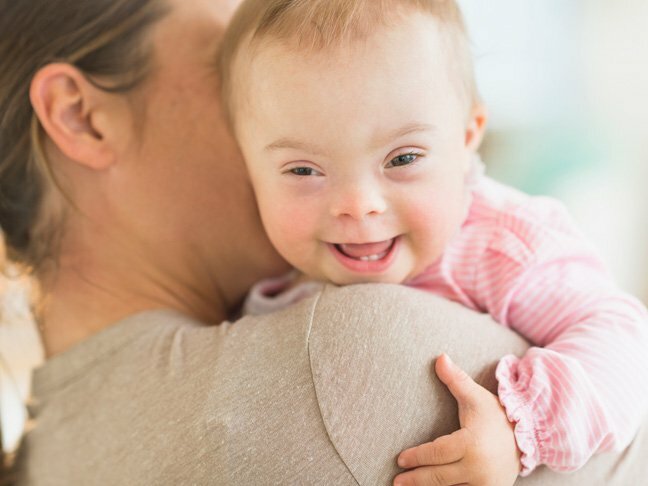 Neural Tube Defects — The most common type of neural tube defect is spina bifida, a defect in which part of the spinal cord is exposed and fails to develop properly. Limb Reduction — While there are many defects that affect limb development, a common defect called limb reduction means the limbs don’t develop at all. Limb reduction affects about 1,500 babies born in the U.S. every year. What is the leading cause of birth defects? Congenital anomalies have many causes, including genetics, environmental factors, and maternal health. Sometimes the cause of a birth abnormality is never known. There are several risk factors for congenital anomalies, which include being over the age of 34 at pregnancy, taking certain medications, having some types of medical conditions like uncontrolled diabetes, smoking or drinking during pregnancy, and a family history of congenital defects. Can you detect congenital birth defects during pregnancy? There are several prenatal tests available that can detect many common defects, although it’s still possible to miss a congenital birth defect until after the child is born. Screening tests can help determine if you or your baby may have certain problems. During the first and second trimesters, these tests include ultrasounds that may find heart defects and chromosomal defects and blood tests to check for some chromosomal defects. If a screening test comes back with abnormal results, your doctor may recommend additional diagnostic tests like a Chorionic villus sampling or CVS (between 10 and 12 weeks), an amniocentesis (between 15 and 18 weeks), or a high-resolution ultrasound (between 18 and 22 weeks). How do you prevent congenital birth defects? It’s not always possible to prevent congenital anomalies, but there are steps you can take to reduce the risk before and after pregnancy. The CDC recommends pregnant women get 400 mcg of folic acid every day, which can reduce the risk of neural tube defects by over 70 percent. Avoid any alcohol, cigarettes, and street drugs during pregnancy. Regular prenatal care can also increase your chance of having a healthy baby. Your doctor can go over any medications you may take that may raise the risk of congenital defects and help you avoid infections. It’s also important to be sure any medical conditions you have are kept under control because some conditions, like obesity and diabetes, raise the risk of defects. Sometimes congenital defects aren’t found until a baby is born. If your child is born with a defect, your doctor can recommend treatment options or special care to help your child thrive.